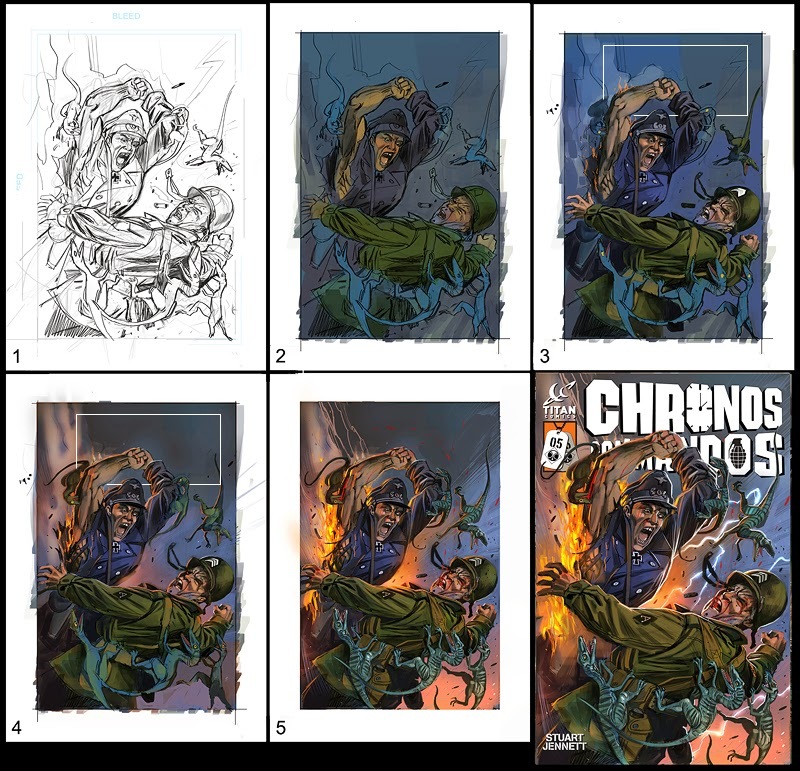 Alien Apple Studios: Chronos Commandos #5 on sale Weds 13th Nov.
Chronos Commandos #5 on sale Weds 13th Nov. 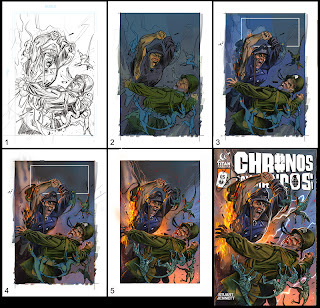 The final issue of Chronos Commandos: Dawn Patrol arrives in your time stream Weds, Nov 13th . 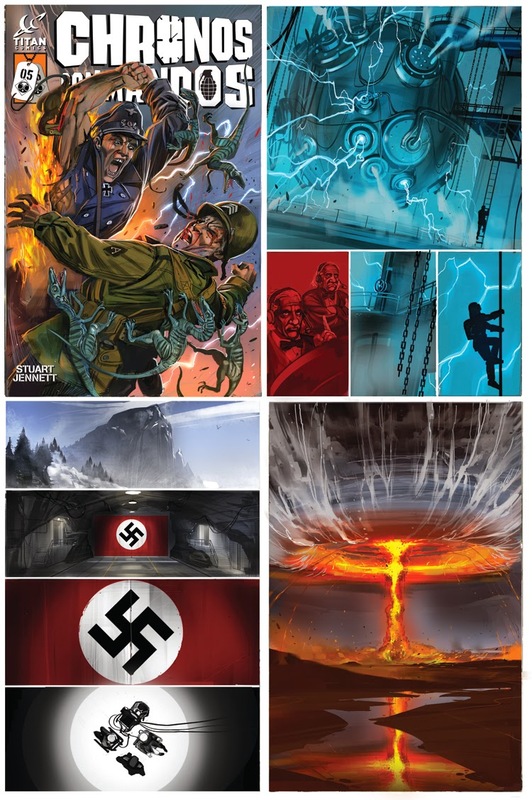 To celebrate here's a sneak peek (unlettered) and a cover breakdown. 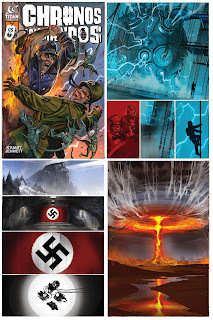 It's the slam-bang conclusion of the first mini-series as the Sarge and his Nazi nemesis, Richter, beat the crap out of each other for the stolen Chronosphere core - and only one of them is making it home!